Seeing as you’re reading this, it’s probably safe to assume that you’re tech-savvy enough to know your way around a smartphone. But not everyone knows how to operate all the features found on these devices, especially when it comes to the newer, more complex models like the Samsung S7/Edge. Thanks to the app’s live support function, users will be able to contact a Samsung customer representative via a video chat, voice call, or text message. The feature should be particularly helpful for those who prefer trying to solve a technical issue by communicating with an actual person, rather than by trawling the web or checking a product’s FAQ section. But even chatting to an expert may not be able to solve the problem. Should this be the case, then the new ‘Assist’ feature can be used - as long as the owner gives their express permission, the representative will be able to take control of the device in question and try to fix it. 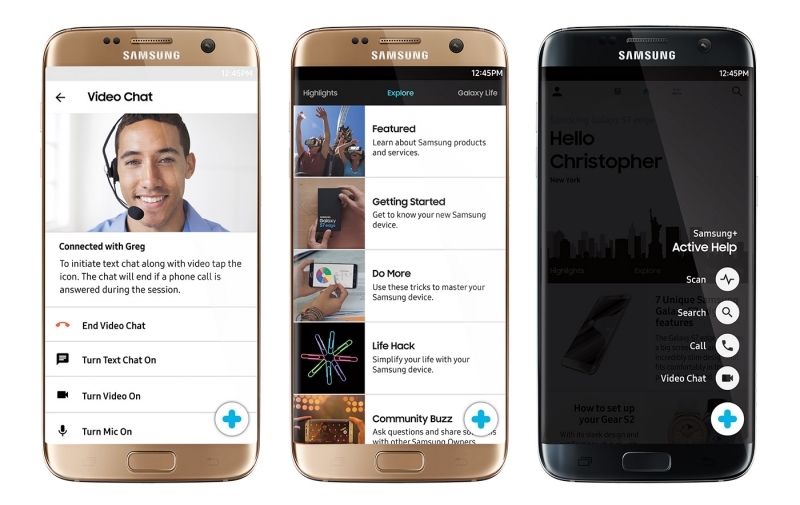 The Assist feature is only available on the Galaxy S7 and S7 Edge right now, but other Galaxy devices and tablets will receive it through carrier updates over the coming weeks. The update also sees a Community section added to the app, along with a new look, On Demand Answers, device diagnostic tools, and a tips & tricks section.